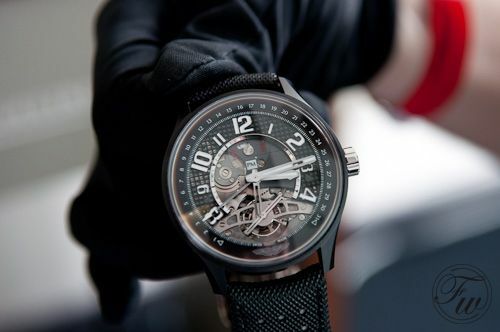 Last weekend, the 24 hours of the Nürburgring were raced and Fratellowatches was there with Jaeger-LeCoultre and Aston Martin. 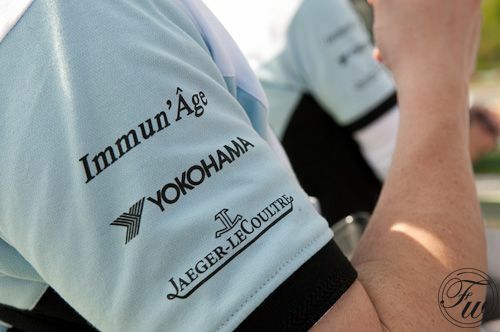 Besides enjoying the race and the finish of the Aston Martin team, there was also some time and room to view the Jaeger-LeCoultre collection and follow a short master class in watchmaking. 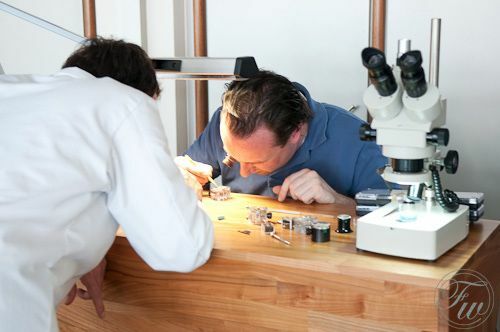 Before entering the Aston Martin terrace in the Dorint Hotel at Nürburgring with the most perfect view on the racing track, I followed the short master class on watchmaking given by one of Jaeger-LeCoultre’s watchmakers from Le Sentier. 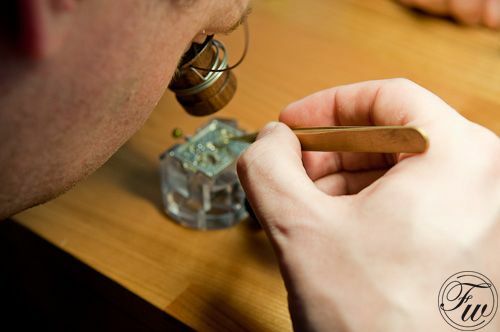 They brought their work bench to the racing track and with the sound of super sports cars in the back ground, I tried disassembling and assembling the power-reserve gear work of one of their Reverso movements. After doing so successfully, a short tour around the Jaeger-LeCoultre watches who were on display was given to me by their marketing manager of the Benelux. 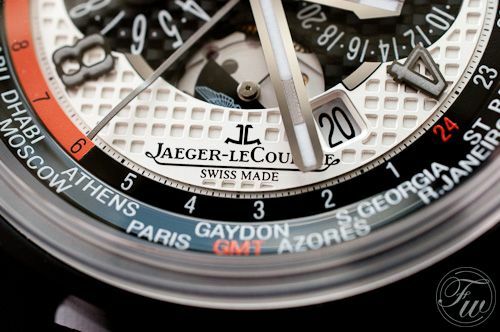 Besides a number of AMVOX watches (including the Tourbillon), Jaeger-LeCoultre also showed the new Master Control models. More about those in another blog post. 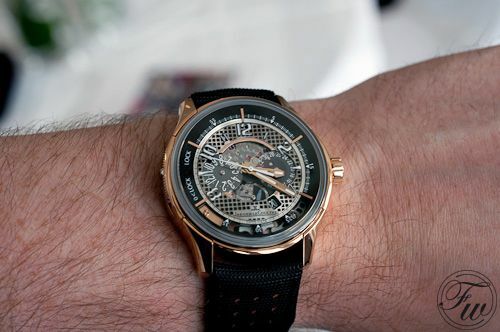 The AMVOX watches are the product of a long lasting relationship between Jaeger-LeCoultre and Aston Martin. Some of the AMVOX watches are even on the option list when buying an Aston Martin car, like the JLC AMVOX Rapide Transponder. The AMVOX Rapide Transponder, pictured above, can be used to control the 4-door Aston Martin Rapide. Opening and closing of the doors can be controlled with this watch, even as turning on (and off) the headlights. 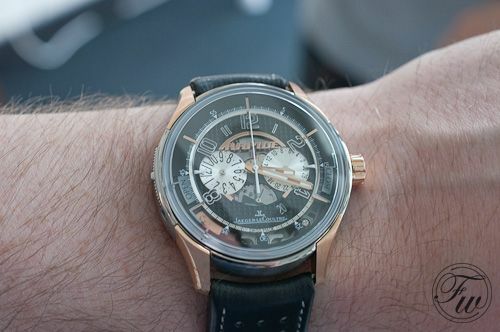 After a tour along all the JLC watches, we headed to the terrace to see the 24 hours of Nürburgring. 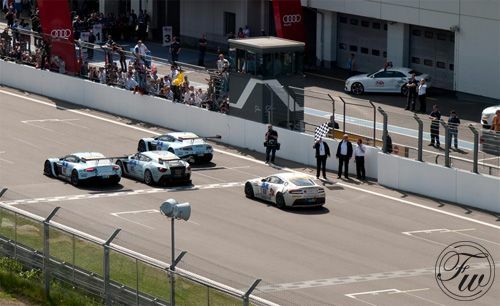 At exactly 16:00, the race ended and the Aston Martin cars passed the finish line. 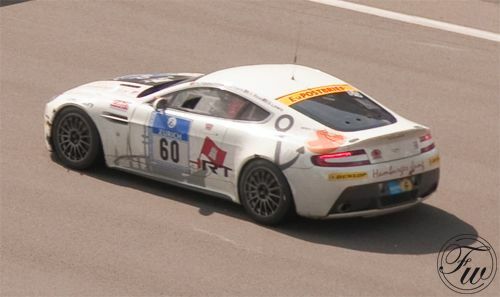 The Aston Martin V12 Zagato and two Vantage GT4S took podium places. 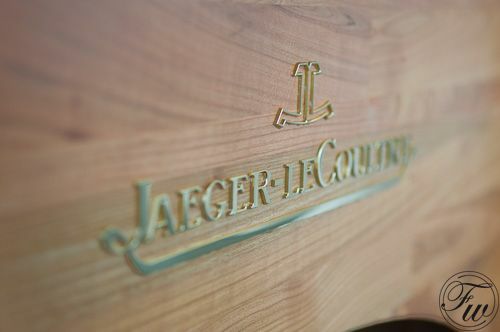 A big thank you to Jaeger-LeCoultre for the invitation to join them during the event at the Nürburgring in Germany.